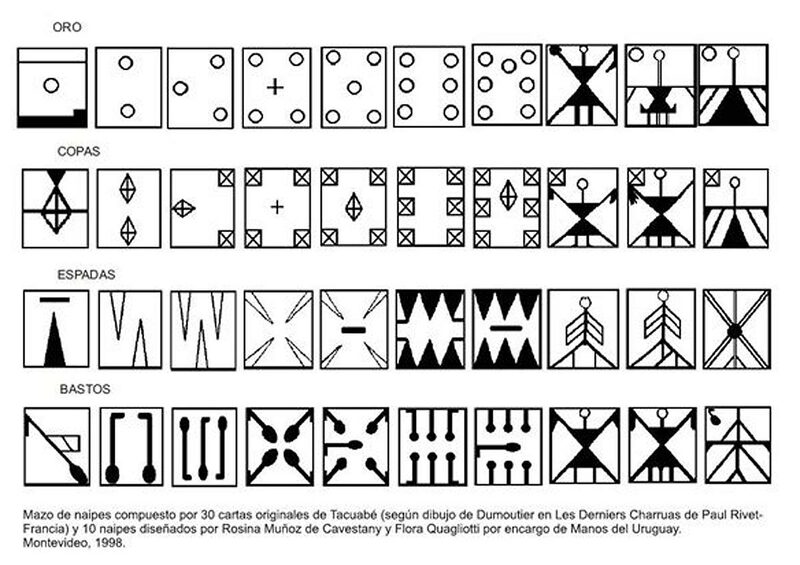 Amongst their possessions was a pack of playing cards made from pieces of hide, attributed to Tacuabé. The pack was incomplete - only 30 cards survived - so the remaining cards were 're-created' by Manos del Uruguay to make a complete 40-card pack as homage to Tacuabé and the memory of the Charrúa people in Uruguayan history. 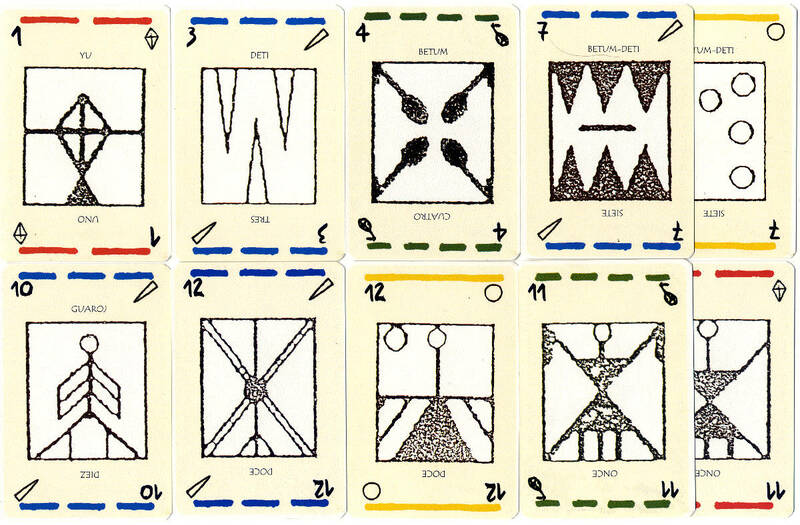 The designs have been further augmented by the addition of 'pintas', index numbers and corner pips, and the number values written in Charrúa language on each card so that they can be used to play Truco. Above: Las Cartas de Tacuabe by Manos del Uruguay, Montevideo, 2001.